Holding dinner parties can be fun but it can also be stressful getting all the food ready to impress your guests. So I have put together 2 simple recipe ideas for desserts and coffee for you to wow your guests with and what's great is they are minimal effort but tastes absolutely delicious! 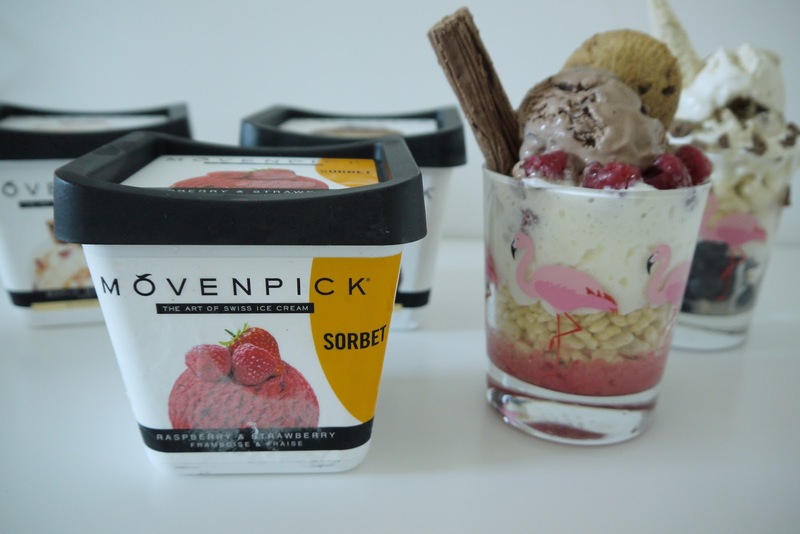 The key to delicious food is good quality ingredients starting off with a few different pots of *Mövenpick ice cream / sorbet, raspberries, rice crispy, flake, fresh squeeze cream and cookies. It's all about simple layering starting off with a layer of raspberry & strawberry sorbet. There are no measurements you can add as much or as little as you wish. Next is a nice thick layer of rice crispy then a good layer of double cream squirt as much as you like then followed by a huge scoop of Mövenpick chocolate ice cream on top. 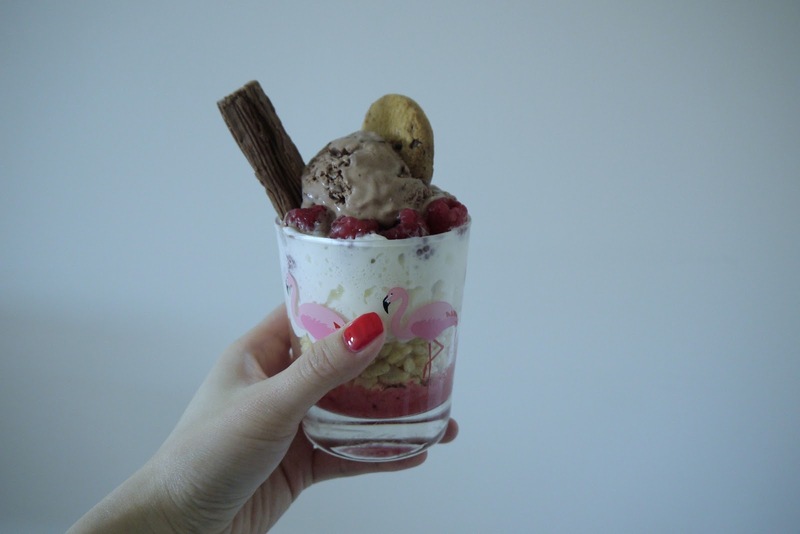 To finish off add half a chocolate flake and dunk in a cookie on the side! 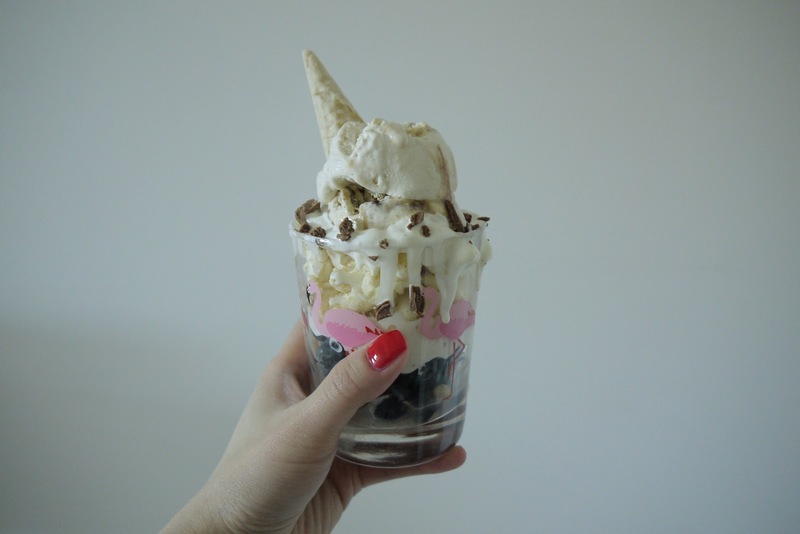 The other one I created below is a layer of blueberry, coconut popcorn and a generous squeeze of fresh cream followed up a huge scoop of maple walnut ice cream followed by a flake. To finish off you can offer your guests some fancy coffee served in a tall latte glass. 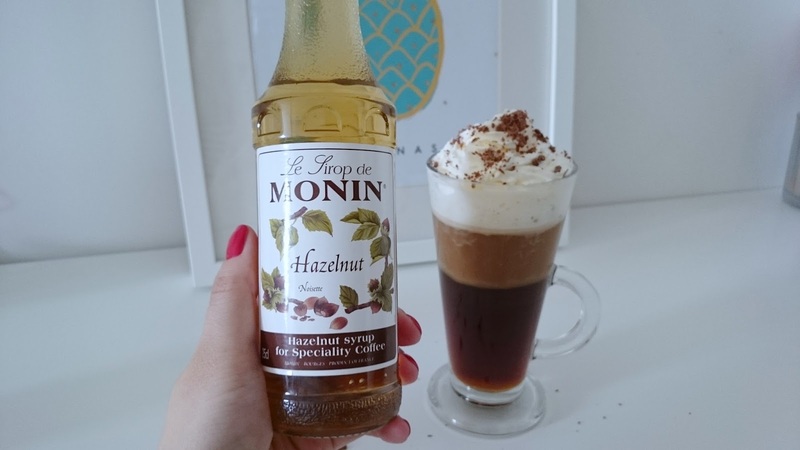 Make your usual coffee and fill it almost to the top leave around 1.5 inch add in 1-2 tablespoon of *Monin hazelnut depending on how strong you like it. Then squeeze double cream and leave it for a minute for the cream to sink to create that 2 tone coloured effect (the cream will make the coffee creamy) then squeeze more double cream and finish off breaking up some chocolate flake and sprinkle on top. 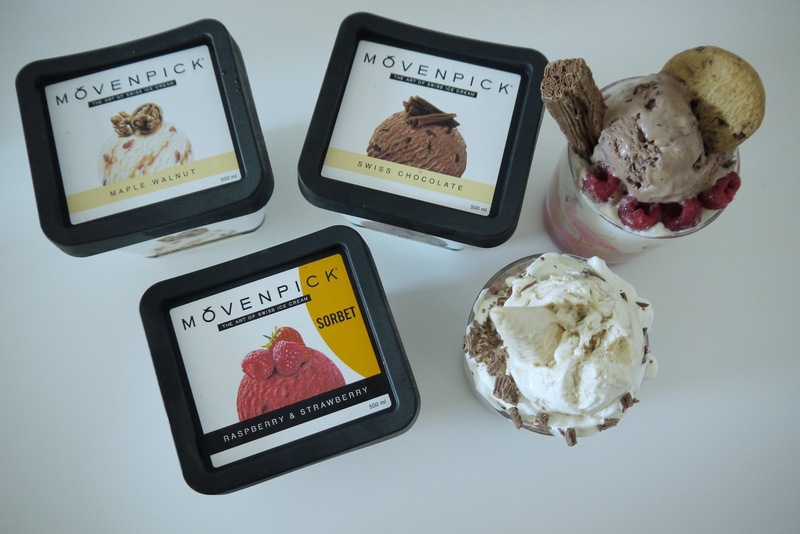 Luxury Swiss ice cream brand Mövenpick is bringing an exclusive experience to Taste of London 2017 visitors this year. Throughout Taste of London (14 – 18 June 2017) Mövenpick is at stand S032 bringing the very best of flavours together to create delicious and exclusive to Taste of London mocktails and ice cream concoctions. 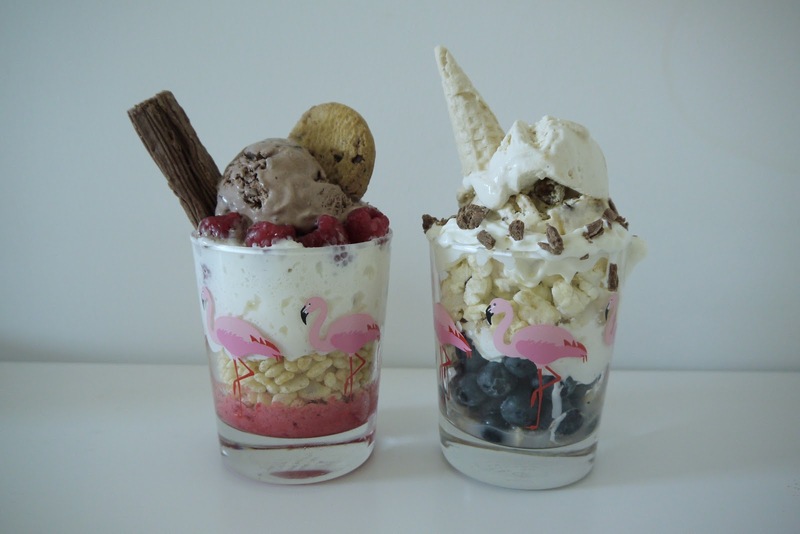 There will also be demonstrations from a Monin syrups mixologist and flavours from Mövenpick’s range of exquisite ice creams and sorbets for visitors to taste, including Swiss Chocolate Ice Cream, Caramelita Ice Cream and Passion Fruit & Mango Sorbet. Mövenpick is renowned for its quality, naturally sourced ingredients and award-winning taste, offering the perfect treat for all gourmet ice cream lovers through over 27 different flavours of luxury ice cream and sorbet. Made using naturally sourced ingredients discovered around the world, whether it’s 65% Maracaibo cocoa beans from Venezuela, the juiciest Alfonso mangoes from India, or handcrafted caramel pieces from Basel in Switzerland, each scoop contains real pieces of fruit, chocolate or nuts, as well as ripples of syrup or sauce, promising the same exquisite taste with every mouthful.